Finding an emergency dentist has never been easier with our listings of local dentists below and our free hotline. Either scroll down and choose the dentist that works for you when facing a dental emergency, or call our 100% free service and let us do the work for you! This is a great website to have when facing dental emergencies. There is so much helpful information on different emergencies, home remedies and even listings of emergency dentists in my area. So glad I found Emergency Dentists USA. Emergency Dentists USA works hard to get you accurate and convenient information that you need in order to find the right Riverside emergency dentist for all of your dental needs. Walk-in dental clinics ensure that you can see a dentist as soon as possible without the hassle of waiting weeks for a dental appointment. Emergency 24-Hour Dental Clinics specialize in offering appointment availability 24-hours a day. After hours dental clinics provide dental services on the weekends or later in the evening when most dental offices are closed. Emergency Dentists USA is the perfect place to begin your search for a Riverside emergency dentist. By simply scrolling through our comprehensive listing of dental offices, you can choose the right dentist for your particular dental emergency. 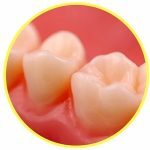 Description Call to be connected with the perfect dentist for you. 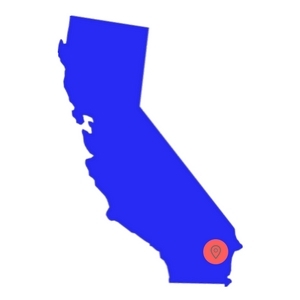 Riverside is a large city and we have the connections to find a dentist to fit your needs, and can get you an appointment immediately. Description: At Regal Dentistry, if the occasion arises where you need help with a painful dental matter, they are willing to schedule an appointment for you on a Saturday and of course weekday evenings as may be required. They make use of state of the art practices that puts the patient’s safety first and enables the dental team to provide the best in restorative, preventative, and implant dentistry. Description: Canyon Crest Dental is open on Saturdays from 8 until 4 PM, a great option for those that need to find a dentist during the weekend when standard clinics are closed. Don’t let your dental pain define your week, and come to Canyoncrest for superior health today. Description: Dr. Allen and his staff have a great location and being open on Saturdays from 8am to 4 pm makes them a great weekend dentist clinic in Riverside. The weekends are a time during which patients that don’t have as much free time during the week need to be seen, and many of their problems are very urgent. Description: Being able to manage patients issues on a weekend or late evenings is advocated as one of their advantages. 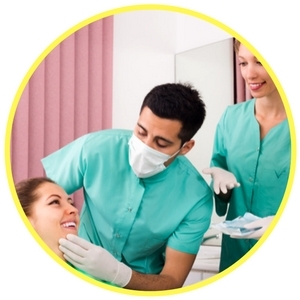 They also offer a wide range of services which include lumineers, dental sealants, children’s dentistry, root canals, tooth extractions, dental sedation, bonding, crowns, oral cancer screenings, sleep apnea, snoring therapy, and many others. Description: This clinic is a great choice for a walkin dentist that will meet the needs of anyone looking for emergency care. You may have to come to the office with the need for an extraction, root canal therapy, or diagnosis for an abscess: everyone here is competent and able to dive in and help you with whatever dental emergency you are facing. Also a great choice for a weekend dentist with Saturday hours from 8am to 2 pm. Similar to a visit to your regular dentist’s office, your Riverside emergency dentist visit begins with x-rays and an examination to decide on the best course of action for your dental problem. Try to arrive at least 15 minutes prior to your dental appointment. This will allow you plenty of time to ask questions about your procedure, fill out the necessary paperwork, and get comfortable with your new dentist. Check to ensure that your new emergency dentist takes your preferred form of payment and if possible your insurance. Bring a current list of your medications with you to the dental visit and make the staff aware of any medical allergies that you have. Dental anxiety and fear are very common, and your emergency dentist staff will be able to soothe your anxieties and help you feel more comfortable at your appointment. Common dental emergencies include broken or loose braces or wires that are broken, loose or lost crowns, partially extruded teeth, or even teeth that are completely knocked out. You also might experience a soft tissue injury, a chipped tooth, or an object caught between your teeth that requires the services of an emergency dentist. Below we discuss some of these emergency dental situations. An abscess is an infection that forms between the teeth or below the teeth in the gum tissue. This type of infection can spread to other parts of the body when proper dental care is not provided. 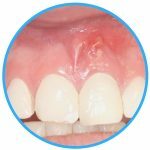 If you believe you have an abscess, you can rinse your mouth several times per day with warm salt water to bring the pus to the surface of the gums. 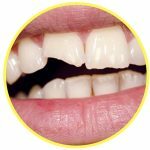 A lost filling might not seem like a dental emergency, but lost fillings can become painful very quickly. If you have lost a filling, use sugarless gum to fill the hole in the tooth. Using gum with sugar could cause pain. If you have chipped or broken a tooth, try to save the pieces of the tooth by placing them in a small container filled with milk. Rinse your mouth with water to remove any remaining pieces of the tooth. Apply a small piece of gauze to any areas of the mouth that are bleeding and continue to place pressure against those areas for at least 10 minutes. The most common reason for an emergency tooth extraction is a tooth that is painful and has decayed to the point where it can no longer be fixed by a dentist. Your dentist will take an x-ray and perform an examination in order to determine if a tooth requires an extraction. The extraction begins with a local or general anesthetic that is designed to alleviate the pain. Then, the dentist uses a dental tool to remove the tooth from the gum. The gum is sometimes sewn closed with sutures that are designed to dissolve over time. The area is packed with gauze to control any bleeding, and you are given instructions for care of the gums. Full healing generally occurs within one to two weeks of the extraction. Heading to the hospital emergency room rather than visiting your Riverside emergency dentist can be a good idea if your dental emergency stems from an accident like a fall or a sports injury. Although an emergency room physician is not a dentist, he or she can definitely help to alleviate your dental pain with medication and refer you to an emergency dentist if needed. To save yourself a hospital emergency room charge along with the time it takes to wait in the emergency room, go straight to an emergency dentist for a true dental emergency. Your emergency dentist is well-equipped to handle a painful toothache, a cracked or broken tooth, and even a lost filling or crown. An emergency dentist can even take care of a dangerous abscess. When you are unable to contact a Riverside emergency dentist that works for you, call our free service and get in touch with one of our staff 24 hours a day, 7 days a week. They can quickly find a dentist in your area that will work with your schedule to get you in and out of pain right away! Whenever you choose a new dentist, you should check their credentials and licenses through the American Dental Association’s website located here: www.ada.org. You can also use the California Dental Association’s website located here: www.cda.org to ensure that your new dentist has the proper licensing for the state of California. 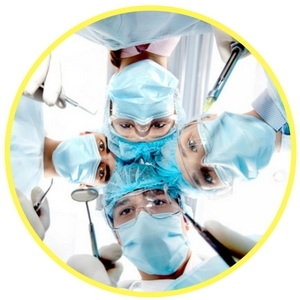 Both websites offer excellent information regarding dental services and dental health.